As part of the bridal shower that my mom and sister hosted for me, they included recipe cards in the invitations, asking guests to use them to write down some of their favourite recipes. It was such a wonderful surprise to receive a stack of tried-and-true dishes from all these fabulous women. I’m sure that most of them will be shared here at some point! The first one that I tried was this awesome casserole dish from Courtney, one of my bridesmaids. As soon as I read it, I knew I had to make it. This dish is SO flavourful and I love the convenience of having only two dishes to clean – a mixing bowl and a baking dish. I can honestly say that Garrett and I spent the whole meal groaning about how good it tasted, and you better believe that we texted Courtney that very minute to tell her. Preheat oven to 425°F and grease a 9″ x 13″ baking dish. TIP: I used my favourite method of making perfect bacon in the oven while I was preheating the oven. 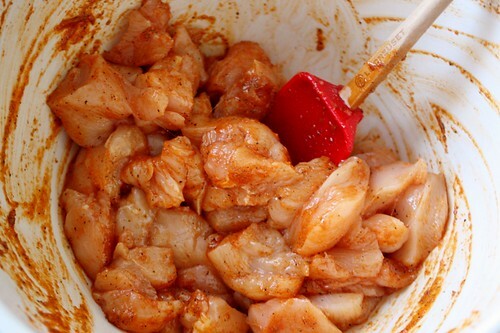 In a large bowl mix olive oil, hot sauce, garlic powder, paprika, ground pepper and salt. 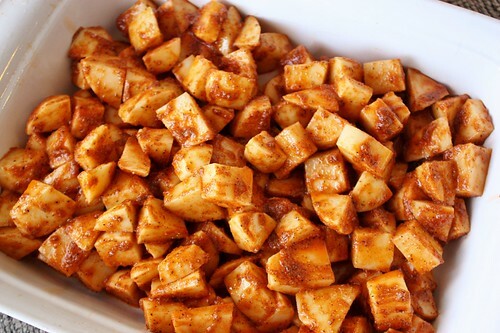 Add potato cubes and stir to coat. 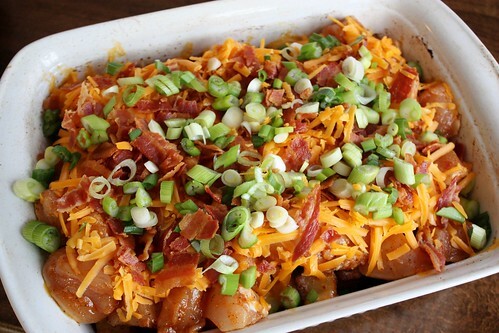 Place the potatoes in the baking dish, leaving the sauce behind. Bake for 40-50 minutes, stirring every 15 minutes. 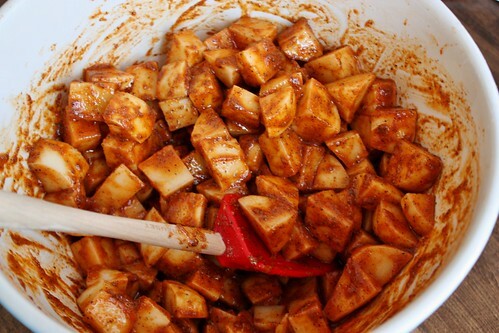 Meanwhile, add the chicken cubes to the leftover sauce in the bowl, tossing to coat. Cover bowl with plastic wrap and allow to marinate in the fridge while the potatoes are cooking. 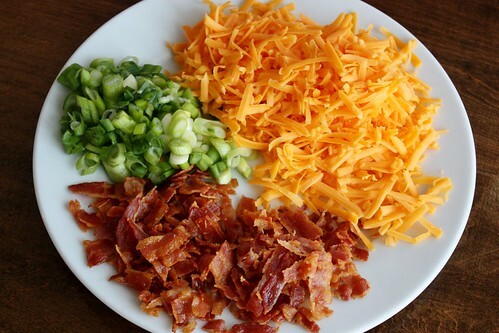 This is a good time to prep the toppings – chop the green onions, grate the cheddar and crumble the bacon. 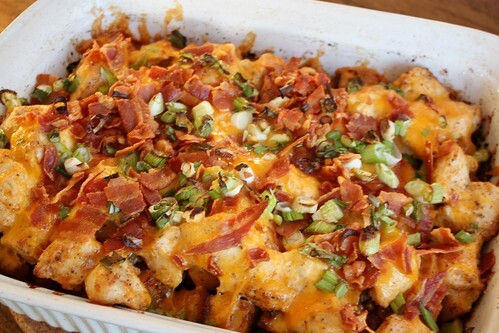 Lower the oven to 400°F, top potatoes with chicken, then the cheese, bacon and green onions. Bake for 15-20 minutes or until the chicken is cooked. 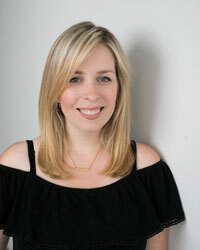 A thermometer inserted into the chicken should reach 170°F. Allow to cool for 10 minutes. 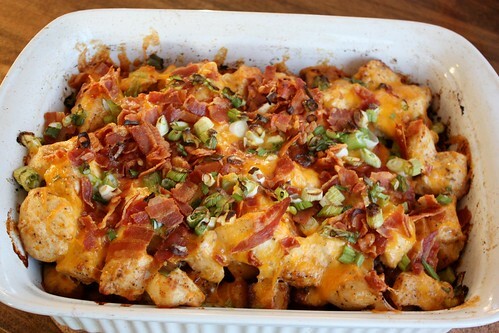 Serve with sour cream, ranch dressing or extra hot sauce. My gosh that looks so good! It has all my favourite foods in one dish! I am bookmarking this! Thank you!